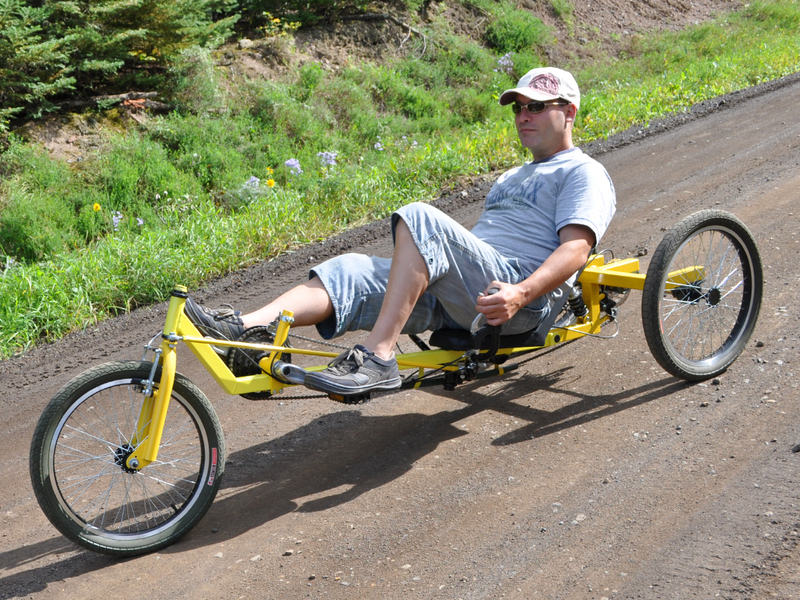 Build Your Own Delta Suspension Recumbent Trike! 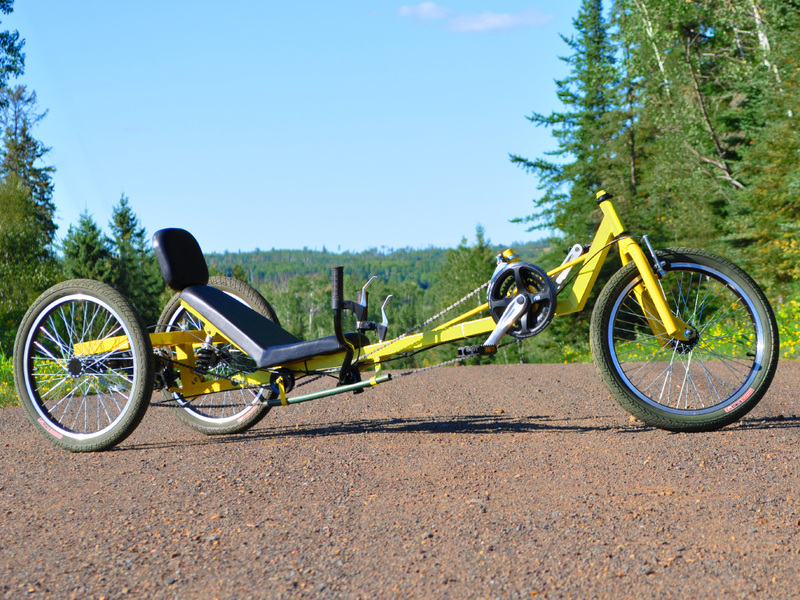 The Aurora Delta Recumbent Trike merges speed, handling, and comfort into one great looking ride! With under seat steering, and rear suspension, you will be enjoying your laid-back country cruises in pure comfort and style. Of course, The Aurora DIY Trike is also a hot performer, and will get you around as fast as your leg powered engine feels like working. A Delta Trike has two wheels in the back, with the front wheel placed ahead of the cranks. This design is considered easy to build, and lends itself well to all type of modifications. There is plenty of room behind the seat for you to add your own mods such as a luggage rack or even a power assist motor. The design is extremely robust as well, so you can ride off the pavement or on trails. We design our plans so that anyone with a desire to build can make their own great looking home built Delta Trike. Every single step of the build is shown in great detail, and the plans assume you have only the basic tools such as a hand drill, angle grinder, or a any basic welder. We are all about recycle and reuse, so the Delta Trike Plan encourages using the parts you have on hand, as well as salvaging bicycle components from old unused frames when you have them. You can build a beautiful DIY Delta Trike just like this one for a fraction of the cost of a commercial trike, even if you use many new components. There is a great pride that comes from DIY! Under Seat Steering for Total Relaxing Comfort. Under seat steering means that your arms are in a relaxed position as you ride. There is nothing in front to block your view. All of the controls such as shifters and brake levers are placed on the handlebars in an easy to reach position. One handed riding is no problem on this stable and comfortable trike. 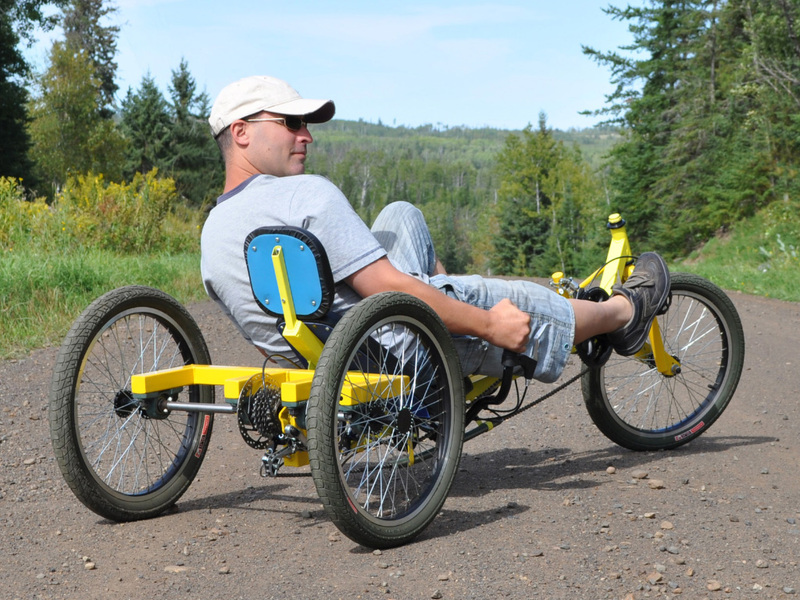 Ride home with a coffee in one hand as you cheat the wind on this laid back recumbent trike. The square tube frame is easy to cut and weld, and the tubing is commonly available mild steel. Rear suspension components are salvaged from an old mountain bike, and can be adapted to the riders weight. Steering components are also salvaged from recycled bicycles, so you can build a trike like this on a shoe-string budget. 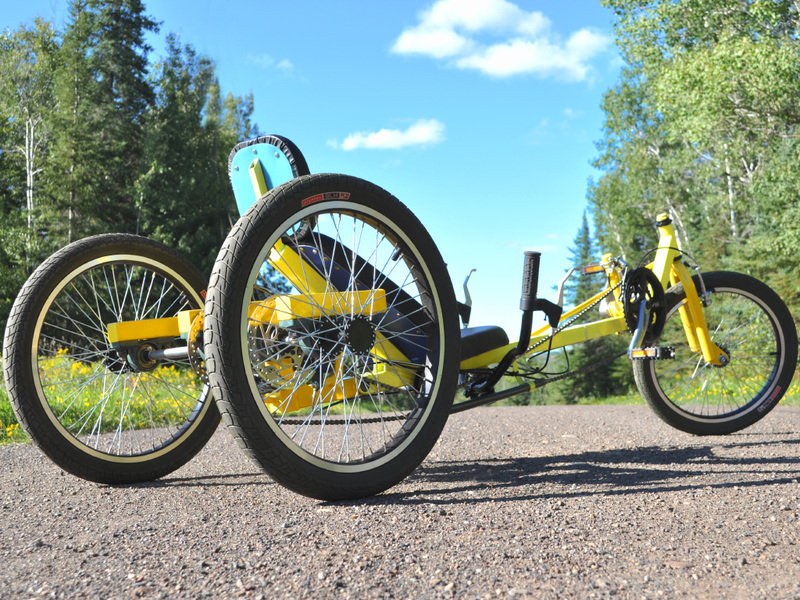 The Aurora Trike Looks and Performs Like a Champ. You do not have to spend a fortune to make your own high performance delta trike. You also do not need to use aluminum or other exotic alloys. Every weld can be made using only the most basic welder, and all of the frame cutting can be done by hand using either a hack saw or an angle grinder. Will will often be asked where you bought that sweet ride, and nothing beats the satisfaction of saying that you built it yourself! The chain drive is routed under the seat and around the handlebars using standard hardware store pulleys. The efficient transmission means that your efforts are put directly into the rear wheel drive. Steering components are also taken from recycled bicycles. Ride Off Road with Great Hill Climbing Ability. Using the same cranks and sprockets from a mountain bike means that you can pedal in low gear in order to take on any hill. A recumbent bike allows you to push harder on the pedals since your back is pressed against the seat. 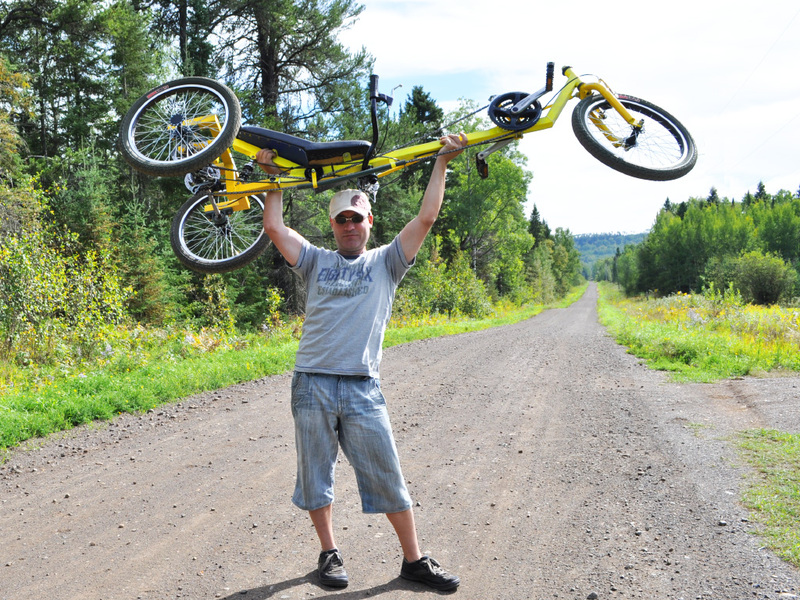 Recumbent riding allows for more power deliver to the cranks. Being a trike, there is no risk of falling over at lower speeds, so you are free to pedal as slow as you like in low gear in order to overcome any hill or terrain. Many of the frame tubing cuts are simple 90 degree or 45 degree cuts, so even a beginner can build a great looking trike. The 2 simple components used to adapt the freehub to the axle can be made by any basic machine shop quickly using just a lathe. Great Handling and Cornering at any Speed. 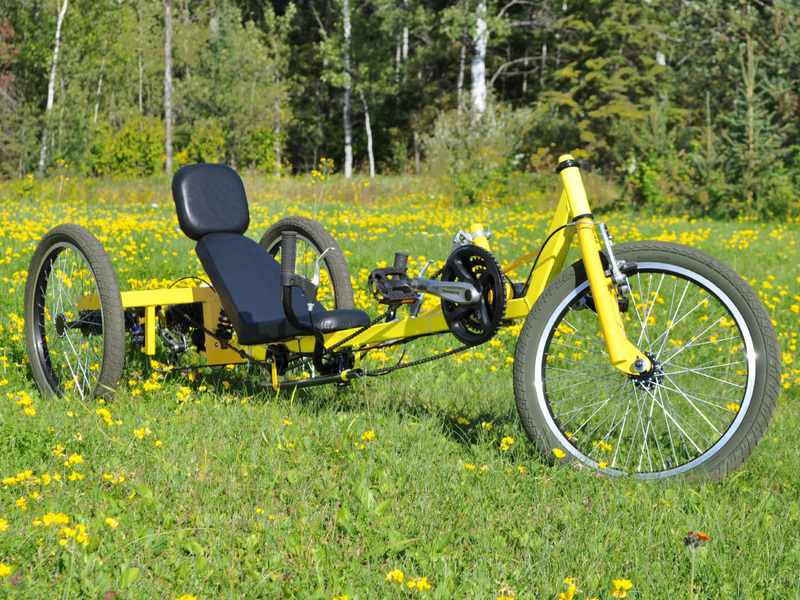 A delta trike is very stable, especially one that has a low center of gravity like the Aurora. You can hit the corners at full speed without any risk of rolling over or striking a pedal on the ground, making for an extremely fun ride. The linked steering is very stable, and makes this trike a great commuter as well as fun city racer. The rear suspension system uses standard components taken from any mountain bike frame, or they can be made from scratch. Bearings and axles are standard hardware store items, and even the rear hubs are completely made from scratch using inexpensive parts. Yes, it Rides as Well as it Looks! This DIY Trike can be customized to suit your needs, making it a true one of a kind ride that looks as good as it rides. Choose your color, change the seat, add a motor, or even over seat steering. It is completely up to you how you alter the design, and there is plenty of room to do so. The Aurora Delta Trike is a great base for an electric velomobile. You can easily add a front hub motor or even a large gas assist motor to the rear using a sprocket on the rear axle. The seat is made using basic materials with fabric placed over foam on a wooden backing. Even the rear derailleur is just a standard bicycle derailleur with some slight modifications. Yes, you can build a high quailty delta trike from basic parts. Build Your Own Amazing Trike for the Cost of a Few Tanks of Gas! Leave the gus guzzler at home and head out on your own DIY trike for a day of fun and healthy riding. Depending on your ability to salvage bike parts, you could actually build this trike for the same price as a tank of gas in your SUV. 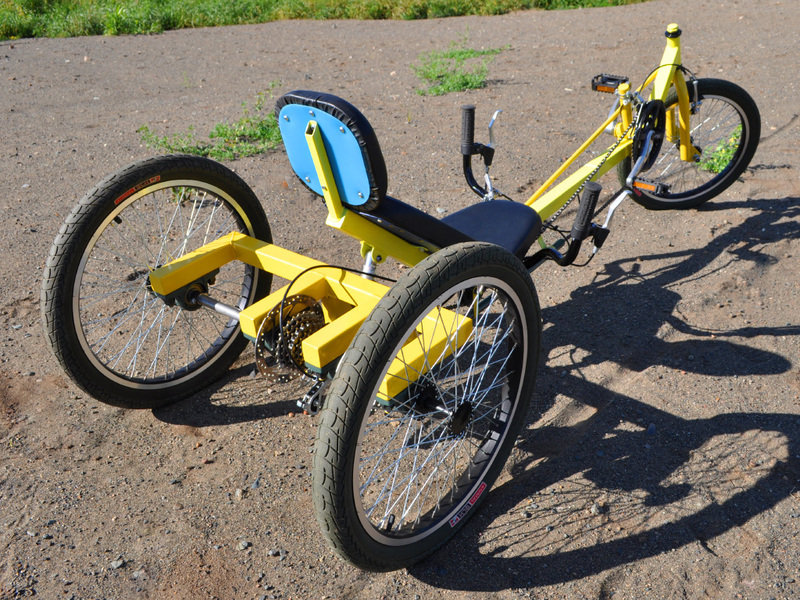 Even using new components, this trike can be built on a budget, and anyone can do it using only basic tools and skills. 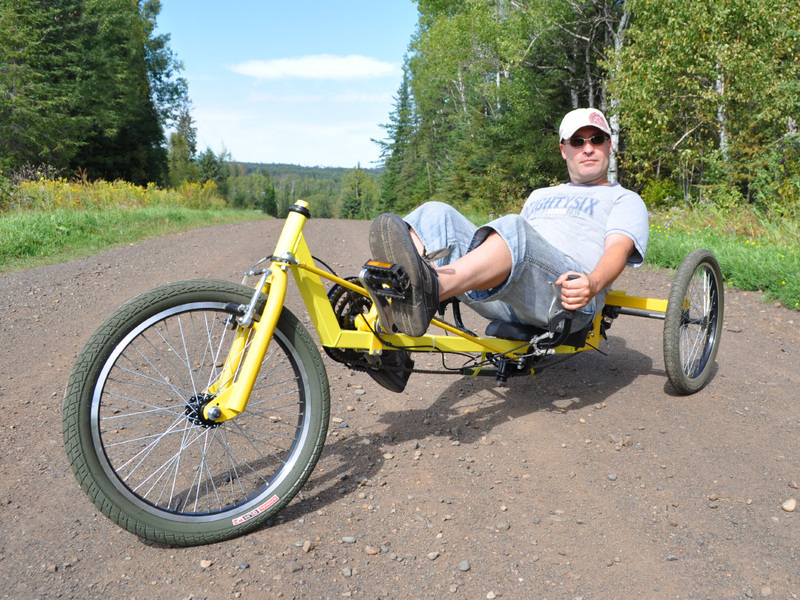 Have you been considering a Recumbent Delta Trike to enhance your lifestyle? Well now you can build your own with our easy to follow DIY Plans that take you through every step of the building process.